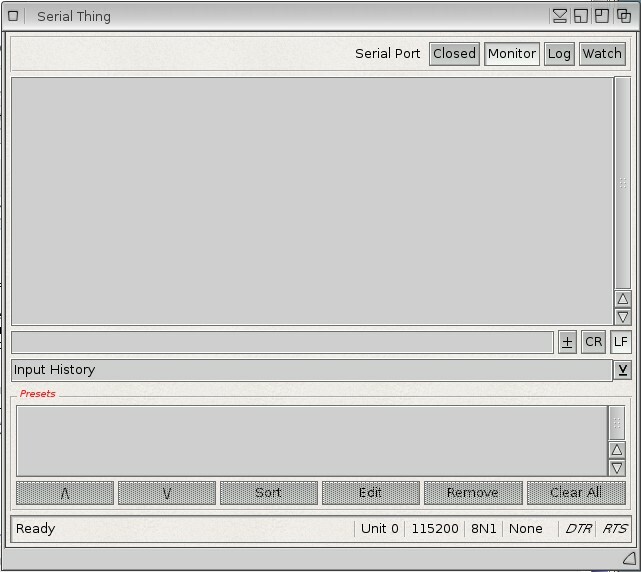 Serial Thing is a serial terminal written with Hollywood 8.0. It uses the new feature of the serial library introduced in 8.0 and the RapaGUI plugin to provide a native GUI on any platform. It started as an exercise for Alex Carmona to learn the Hollywood programming language and create a terminal program with the features he needed most to interact with microcontrollers like the Arduino and Esp32/Esp8266, various serial LCD displays, voice command modules, etc. It was also an exercise for Alex Carmona to learn the Hollywood programming language and create a terminal program with the functions he needed most to interact with microcontrollers like the Arduino and Esp32/Esp8266.